We’d love your help. 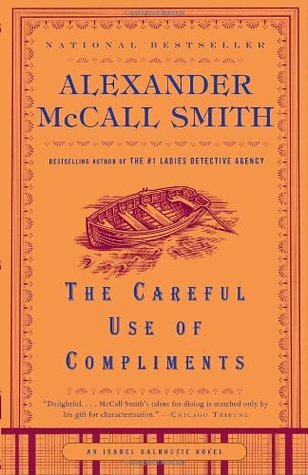 Let us know what’s wrong with this preview of The Careful Use of Compliments by Alexander McCall Smith. To ask other readers questions about The Careful Use of Compliments, please sign up. I bought this book in a second hand store, without realising it's part of a series. Can you read this without the rest of the series? Colleen Aungst Yes, you can! I read this without reading any of the other ones. 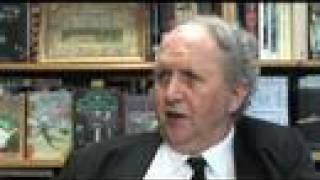 For a great light read, why not start with the eminently civilised novels of McCall Smith? Immense learning and a lifetime of experience combined with careful, playful observation make each one of his books a harried literate modern’s Great Escape. Isabel Dalhousie is an inquisitive and philosophizing young lady, but she lacks street smarts. So she gets into some pretty sticky wickets! But she’s endlessly charming, and combines sophistication with a disarming guilelessness that will captivate the For a great light read, why not start with the eminently civilised novels of McCall Smith? But she’s endlessly charming, and combines sophistication with a disarming guilelessness that will captivate the less demanding cozy mystery lover. Yes, she has a love interest which never seems to boil over - after all, she’s British and discreet. But that’s how she solves mysteries! Isabel is where the Brit Oxbridge types go for their fine-tuned cozy reading pleasure. She’s smart, she’s classy - but a bit too curious! And that’s what makes McCall Smith’s CULTURED cozy mysteries - of which the African series Ladies’ No 1 Detective Agency is another example - so endearingly human! And if you don't buy one of the Isabel books, but want something more serious, pick up a copy of Smith’s insightful work on W.H. Auden. You’ll see the inner life of Isabel Dalhousie close up - cause old Wystan’s her (and Smith’s) favourite poet - and you’ll have more of a clue on the widely embracing human vision that really makes her, and Smith, tick. This book is the fourth of a series, and as usual with series, follows about a character or a set of characters. Isabel Dalhousie is the protagonist of this one. She is very interesting: philosopher, editor of The Review of Applied Ethics, unmarried mother of a boy whose father is her niece Cat's ex-boyfriend and fourteen years her junior. Isabel keeps on a running monologue in her head which the reader is privy to: this is the main charm of the novel. This novel, though standalone, presumably p This book is the fourth of a series, and as usual with series, follows about a character or a set of characters. Isabel Dalhousie is the protagonist of this one. She is very interesting: philosopher, editor of The Review of Applied Ethics, unmarried mother of a boy whose father is her niece Cat's ex-boyfriend and fourteen years her junior. Isabel keeps on a running monologue in her head which the reader is privy to: this is the main charm of the novel. This novel, though standalone, presumably picks up from where it left off last time and moves its serene way forward. There are no earthshaking events, no moments of truth which allows characters to grow beyond their humdrum existence; these are your friends next door whose adventures are limited to the marriage of a cousin, the birth of a nephew or that long-awaited trip to Europe. Important things happen to Isabel, of course. She almost loses her editorship before she turns the table smartly on her opponents; she makes up with her estranged niece; and solves a relatively lukewarm mystery of a long-dead painter. All very interesting, however, but nothing very remarkable. Other than Alexander McCall Smith's prose, that is. This collection had been put together by a businessman who had done well with a small oil company and had attracted attention by his colourful, and tactless, remarks. The oil wells were on the shores of the Caspian, in one of those republics that people are not quite sure about-where it is and who runs it-and had suddenly dried up. There had been mutterings about geological reports and manipulations at the other end, and the share price had plummeted. The sale of the Colourists was the result, along with the sale of a Highland sporting estate and a small fleet of expensive vintage cars. Of course people were sympathetic, but secretly delighted, as they are whenever those who boast of their wealth take a tumble. See how a few deft strokes, humorous, empathetic, and mildly sarcastic paints a picture in the mind of the reader. The only thing that was a mild source of irritation was the frequent POV shift between Isabel and Jamie, her boyfriend. However, in the midst of such writing, such minor drawbacks can be excused. The verdict? Not your Nobel-winning tome, but something to curl up with a glass of Scotch at the end of a tiring day. The Book Report: Isabel Dalhousie, wealthy old-Edinburgh-family woman, art collector, philosopher, editrix of The Journal of Applied Ethics, lover of a beautiful younger musician, single mother. My Review: This is the fourth Isabel Dalhousie novel, as I am pleased to note Pantheon is now marketing them, not mysteries. Now I wonder why my library still keeps them in the mysteries...? It's a lovely, warm way to spend a frustrating day's end, reading a well-written book about quiet, domestic things, and feeling thereby that one has checked in on the doings of some rather remote, but nonetheless cherished, friends. That's the charm of the Isabel Dalhousie novels for me. It's just smooth sailing such as this that gets comparatively little respect, critical or commercial; how glad I am that Precious Ramotswe has given McCall Smith the megaphone that brought these unfashionably serene books to a broad, general market. And how delightedly I received this particular book! The previous entry in the series wasn't very good at all, seeming to me to have been composed on a laptop perched on the author's knee while traveling to signings, clunked onto the never-the-right-height hotel desk for a fast few hundred before passing out, and edited by fax while jouncing over unpaved roads in Botswana. While I'm not quite ready to forget that readerly disappointment, I'm a long way from unhappy after this evening's pleasures. Isabel does several interesting things in this book, and does them with verve. I think it was this sense of verve that I missed in book three, The Right Attitude to Rain. Cat, Isabel's niece, appears again in this book, though she isn't as central a character...this is but one example of the evolution of the series, that natural fading in and out of some characters. It's just like life. Only better...it takes less time. Recommended, no reservations, for anyone needing a quiet place to relax and have a good conversation with good people. Every time I read one of Alexander McCall Smith's books (particularly the Scottish ones, though I love the Precious Ramotswe books too) I am stunned. He presents such a gentle, humane view of human relationships, without being naive or saccharine. I also can't get over how well he writes from a woman's perspective! I relate everything I read to my own experience, which is perhaps a bad quality, but makes every book personal to me. So of course to find Isabel with a 3 month old baby in this book, Every time I read one of Alexander McCall Smith's books (particularly the Scottish ones, though I love the Precious Ramotswe books too) I am stunned. He presents such a gentle, humane view of human relationships, without being naive or saccharine. I also can't get over how well he writes from a woman's perspective! I gave it five stars because it really made me feel like I am on holidays and that this is how holidays should be enjoyed. It was a warm feeling and I think I could read this book again during Christmas, with a cup of tea or hot chocolate beside. The main character, Isabel, was a charming lady and I grew a particular fondness on her. Though sometimes she appeared confused, or just wanted to play that 'ping-pong' game of thoughts, cause anyway she already had an aim in her mind. She sometimes mad I gave it five stars because it really made me feel like I am on holidays and that this is how holidays should be enjoyed. It was a warm feeling and I think I could read this book again during Christmas, with a cup of tea or hot chocolate beside. The main character, Isabel, was a charming lady and I grew a particular fondness on her. Though sometimes she appeared confused, or just wanted to play that 'ping-pong' game of thoughts, cause anyway she already had an aim in her mind. She sometimes made it difficult to follow her train of thoughts, however, that is typical of: first, a woman, and second, a philosopher. The Isabel Dalhousie books just keep getting better! I really enjoyed this one and the last one (The Right Attitude to Rain). Although NOT detective fiction as they are so often classified, they are easy reads with interesting philosophical questions presented in a way even non-philosophers like me can understand. This, the Isabel Dalhousie series, is one of two series that I keep tabs on, and both have new books out this fall. This series is largely character driven, has a great sense of geographic place, and is just an easy, entertaining read. Plus, I'll always give points for a book whose main character is a philosopher. I do think this particular book is the weakest of the 4 Dalhousie books, but that's alright. Still quite enjoyable. I do confess that I almost didn't list this on my Goodreads account - This, the Isabel Dalhousie series, is one of two series that I keep tabs on, and both have new books out this fall. This series is largely character driven, has a great sense of geographic place, and is just an easy, entertaining read. Plus, I'll always give points for a book whose main character is a philosopher. I do think this particular book is the weakest of the 4 Dalhousie books, but that's alright. Still quite enjoyable. I have now finished the book. I always say these Alexander McCall Smith books are review-proof, especially if you are on the 4th book of a series, as is the case with The Careful Use of Compliments. I had read the 3rd book earlier this year and had not intended to pick up this one quite yet, but I had just come off such a mentally taxing read that I really need the light and fluff of McCall Smith to do what I call a cleanse of my literary palette. Normally, I would have switched off with the No. 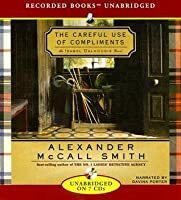 1 Ladies Detective Agency ser I always say these Alexander McCall Smith books are review-proof, especially if you are on the 4th book of a series, as is the case with The Careful Use of Compliments. I had read the 3rd book earlier this year and had not intended to pick up this one quite yet, but I had just come off such a mentally taxing read that I really need the light and fluff of McCall Smith to do what I call a cleanse of my literary palette. Normally, I would have switched off with the No. 1 Ladies Detective Agency series, but I was so surprised by the turn of events in Isabel Dalhousie's life at the end of The Right Attitude For Rain that I was anxious to see where things picked up. I had heard of Smith, and as such expected this to be a mystery novel. It both is and isn't, but it is primarily a slice of life piece concerned with a few artistic types in Edinburgh. 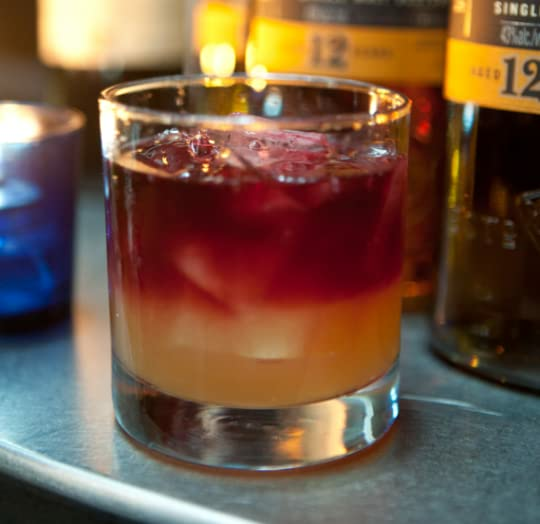 It is warm, cozy and kind, but not a whole lot happens. The characters are mostly engaging, and the dialog is winning, but the general lack of story is concerning. Still, if you don't mind a mystery with low stakes and a lot of suburban gossip, this is a lot of fun. Don't get me wrong, I like this series and I will continue reading it. It just feels a little like the same old same old with a baby thrown in. The mystery this time was actually mysterious, even though the mystery is never the focus in this series. Listened to the audiobook version. Especially liked the storyline involving an artist & the wild, western island of Jura. These books are my relaxing, late evening stories . . .
Isabel Dalhousie enjoys her job as editor of the Journal of Applied Ethics but she is upset by a letter telling her she is to be replaced as editor. She find she is much more upset about it than she might have thought. Meanwhile she is settling down into single motherhood and looking after baby Charlie with the help of housekeeper, Grace and the boy's father, Jamie. But Isabel wants to try and repair her relationship with her niece, Cat who feels Isabel has stolen Jamie from her even though she Isabel Dalhousie enjoys her job as editor of the Journal of Applied Ethics but she is upset by a letter telling her she is to be replaced as editor. She find she is much more upset about it than she might have thought. Meanwhile she is settling down into single motherhood and looking after baby Charlie with the help of housekeeper, Grace and the boy's father, Jamie. But Isabel wants to try and repair her relationship with her niece, Cat who feels Isabel has stolen Jamie from her even though she herself had broken up with him some time before he fell in love with Isabel. In addition Isabel has become interested in some paintings which she thinks may be forgeries and she takes a trip to the Isle of Jura with Jamie and Charlie to try and work out whether her theory is correct. This is a gentle read with plenty of philosophical speculations about aspects of everyday life. The excruciating dinner party is really well written and will make you cringe and feel the embarrassment as though you were actually there. I enjoyed this book very much, but then I always like McCall Smith. Isabel Dalhousie might be my favorite character that he's created, largely because she reminds me of me. Everything for her is fodder for thinking, and she lives in a complicated moral universe where every decision is weighed against Dalhousie's notion of right and wrong/should or shouldn't do. But it's not as dry as all that sounds. She loves a niece who hardly seems worth the bother, for the most part, and she loves a man who' I enjoyed this book very much, but then I always like McCall Smith. Isabel Dalhousie might be my favorite character that he's created, largely because she reminds me of me. Everything for her is fodder for thinking, and she lives in a complicated moral universe where every decision is weighed against Dalhousie's notion of right and wrong/should or shouldn't do. But it's not as dry as all that sounds. She loves a niece who hardly seems worth the bother, for the most part, and she loves a man who's younger than herself. McCall Smith is a master of restraint discussing their relationship; he simply lays it out, leaving the reader's reaction entirely up to the reader. One of the things I like about his novels set in Scotland, as this one is,is the similarity between the culture he describes and our own. It's just distant enough to allow some fresh perspective. Since hearing McCall Smith speak, I bring a more distant eye to Isabel. McCall Smith said that she "often gets it wrong," and this clue helped me enjoy the possible irony of Isabel's use of her tremendous wealth to outmaneuver an enemy, while finding the most morally justifiable grounds for doing so. A neat little plot twist rounds up an enjoyable story. I have rarely encountered a character as pensive as Isabel Dalhousie. She deliberates about every aspect of life, and strives to make the highest moral decision. She is a great role model for anyone, and I wish she were my best friend. I love these little mysteries...no bloodshed or gunshots. Fun to read Isabel's thought process. Makes philosophy interesting and real. I just love this series, it's like coming home and sitting in your favorite chair with a nice cup of tea. Another fun AMS book. I love Isabel . . . she can't help herself from overthinking everything. I really resonate with her! Do NOT read online reviews, do not read the books out of order, and set aside a week just to read this series! Really 4 1/2; not a classical, but it has consumed my life. I have developed affection for the characters (and Scotland, if Smith hasn't already hooked you.) And, though not exactly a mystery series, each book is somewhat of a cliff-hanger. I have other books that will expire, so I'm taking a break, but I plowed right through the first four; losing two nights sleep because I just couldn Do NOT read online reviews, do not read the books out of order, and set aside a week just to read this series! Another delightful visit into the genteel Edinburgh world of Isobel Dalhousie. I confess to being addicted, to the point that my heart soared when I saw there is yet another novel in the series. If you love Scotland, words, philosophy, then these books are for you, too. “Do not act meanly, do not be unkind, because the time for setting things right may pass before your heart changes course.